This Optima Tray holds 2 Optima Batteries together in a roughly square shape. You can set the batteries in place either direction (front to back, front to front, and back to back) so you can wire them up for what best suits your needs. We specifically designed this tray to fit your Optima 6V style Red top battery. 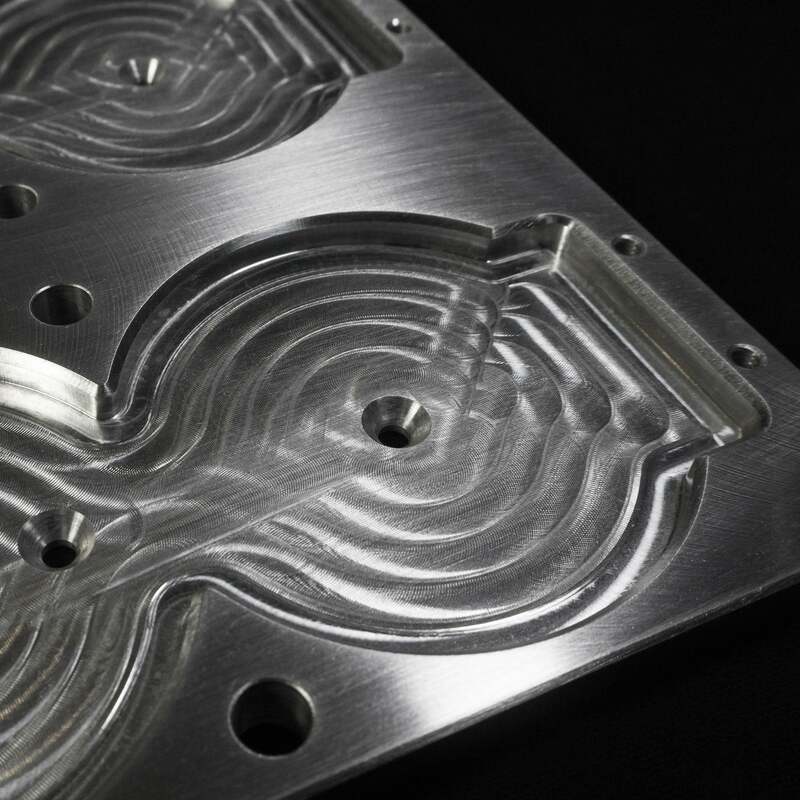 This tray was created in our own shop, and starts as multiple pieces of Solid Billet Aluminum (6061-T6 Aircraft Grade Top Quality Aluminum). 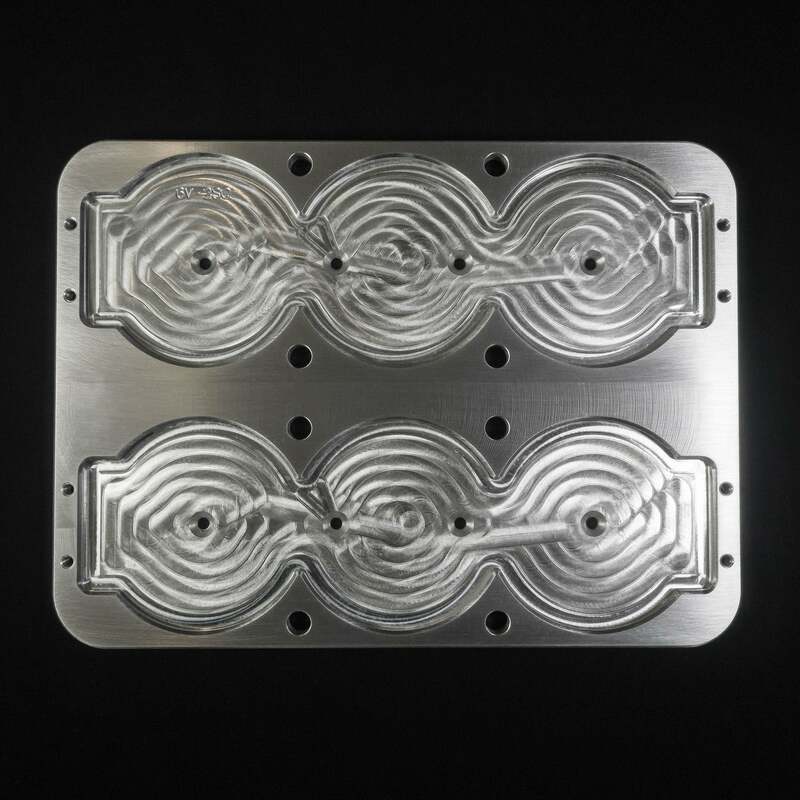 We then mill it to shape and exact size using state of the art CNC machinery. It's brand new and comes with all the bolts and fasteners you will need to assemble and install it. The tray comes with a satin brush finish and the edges have been given a chamfer to create a clean and sleek look. 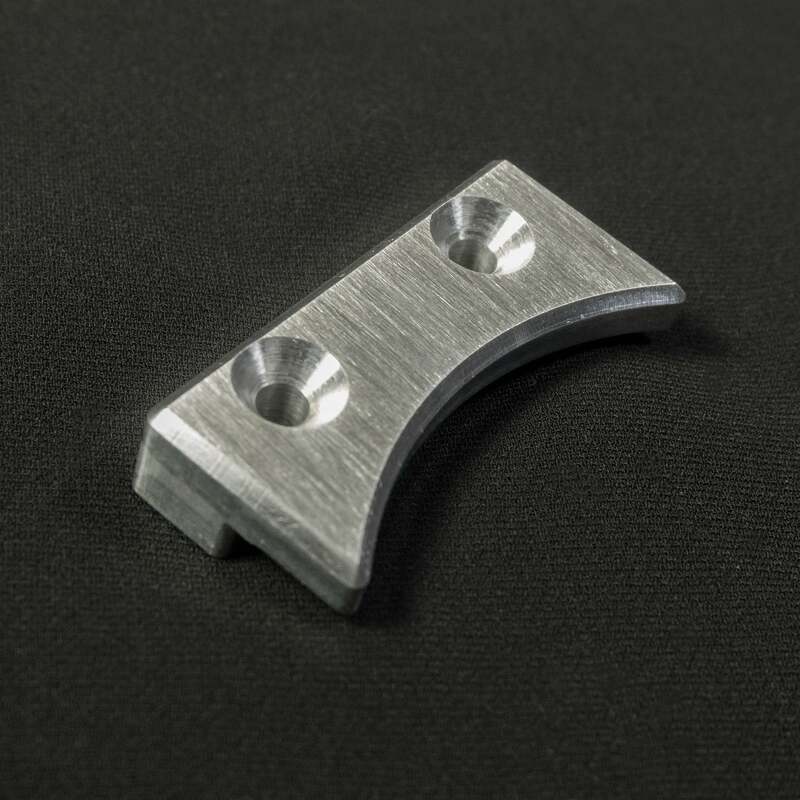 Our shop has been making Optima Trays for years, and have come up with specific dimensions that follow the shape and contour of your Optima Battery to hold it tightly in place. Each of our trays are designed for a specific Optima Battery so you know when you buy this tray, it will fit exactly as described. As you can see by the pictures we pay close attention to structural integrity without sacrificing design and functionality. To the best of our knowledge This tray is NHRA Legal! When we checked, the rules stated that the battery tray is required to be bolted to the vehicle with 3/8" bolts which come with our tray. The tray pictured has a FREE "Satin Brush Finish". 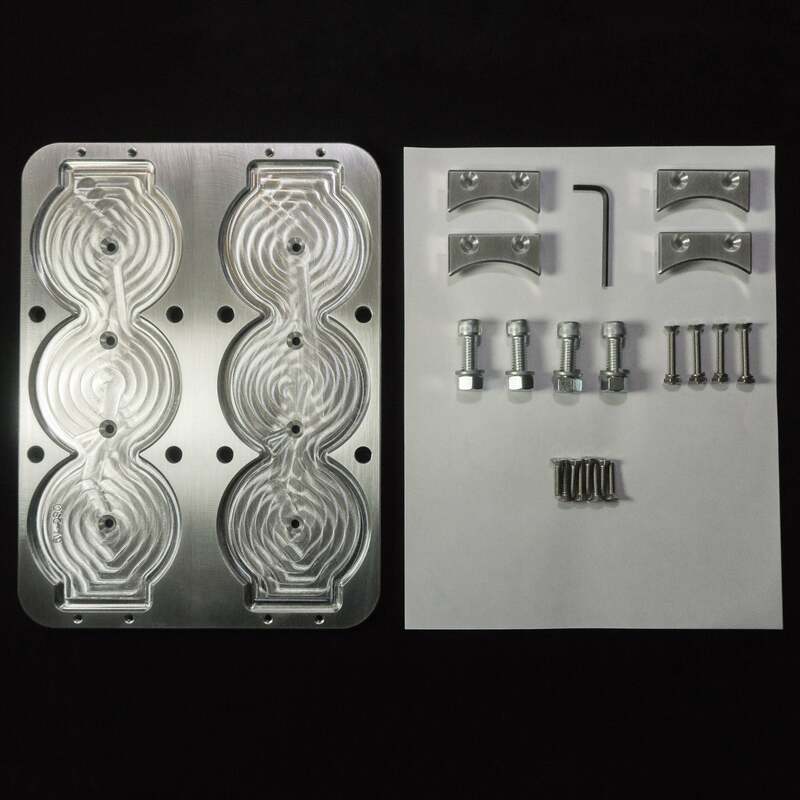 The tray comes with 4 mounting screws which are intended to be used in the 4 countersunk mounting holes. 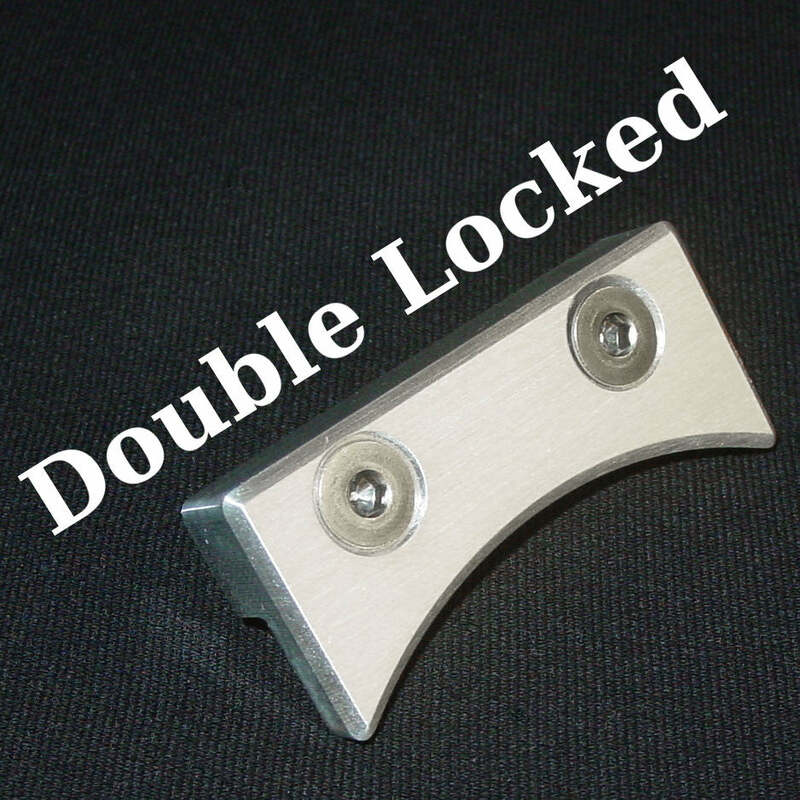 If you are part of NHRA you will need to use the included 3/8" Zinc plated bolts. You can always use all 8 included fasteners for super mounting strength! You have the option to choose which layout fits your installation best. All the mounting holes are covered and unseen with the battery in place and the tray fully assembled. 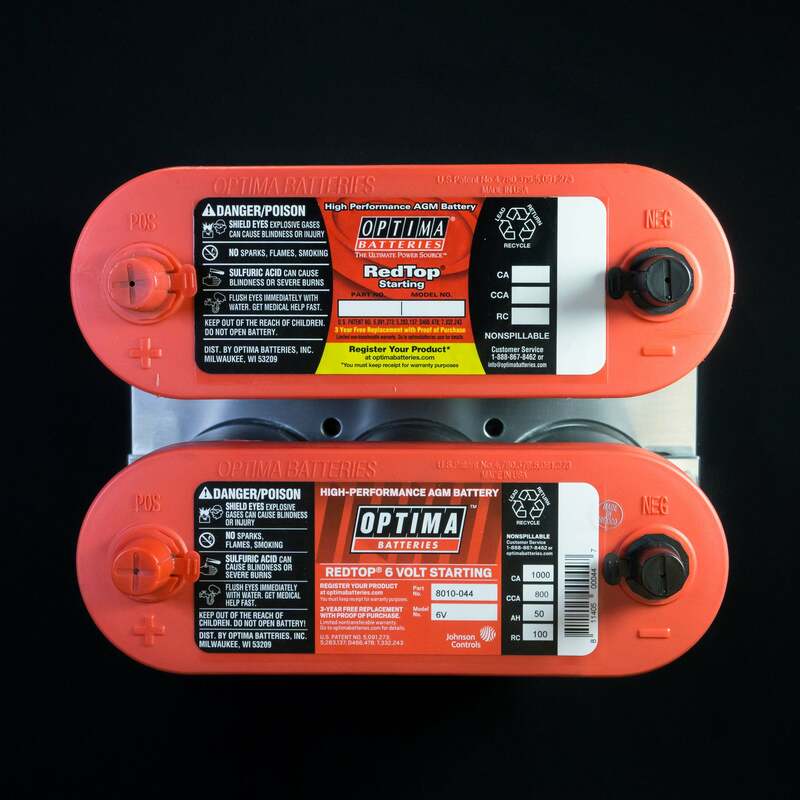 With 2 screws on each clamp to hold down your Optima batteries, you know it will be held securely to the tray. We have designed these clamps to hold along the entire flat area of the Optima battery near the clamp for maximum holding force. All of our bottoms prevent the battery from sliding out of place when it is set inside the 1/4" pocket. This pocket is specially designed to follow the contour of the Optima battery keeping it firmly in place. Special attention has been paid to the countersunk holes where the machine screws sit. Each screw sits just a little lower than the surface giving a professional and smooth look. Our trays come with an incredible 5 Year Warranty! It is because we are so confident that our trays will stand the test of time that we are offering such an amazing warranty period. Should you ever need replacement parts, we are here to make it easy and painless! We even cover all shipping costs within the USA. The L x W dimensions for this Optima Battery Tray are exactly 11" x 8.15". This means that you will need a minimum of a 11 1/8" x 8 1/4" area for the tray to fit. The tray also makes your battery sit 1/4" higher because of the tray under the battery.